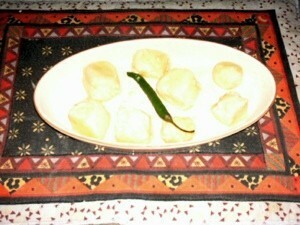 Paneer is a soft homemade cheese that is found in many Indian cuisine recipes. 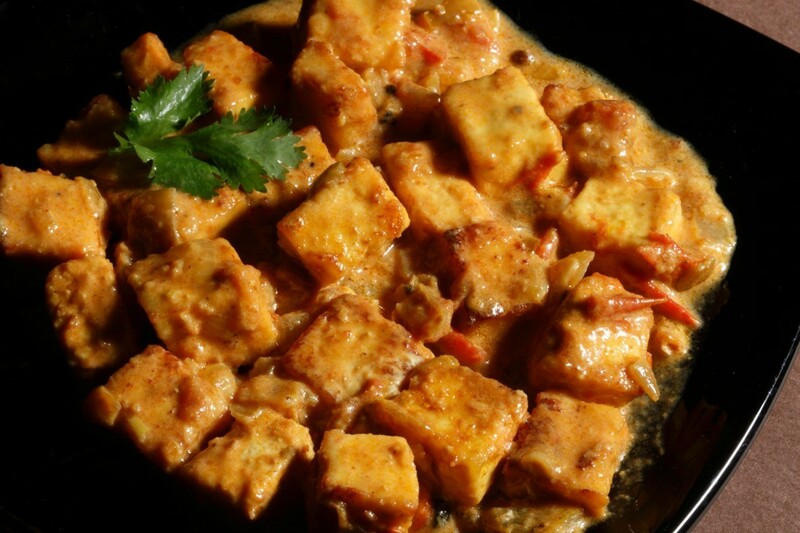 This page contains paneer (Indian cheese) recipes. This is a wonderful recipe for paneer (Indian cheese). Pour milk, yogurt, lemon juice, and salt in a heavy based pan. Bring it to a boil on medium heat. When the curds separate, remove pan from the stove. Pour in a muslin cloth and let all the water drain off. Put the paneer in a square container and shape. Oil a knife and cut into cubes. Dip the cubes in flour and shallow fry in oil. Remove and drain on paper towel. Use in chutney, peas and cauliflower curry, or in Samosa filling. Dorty, do you have any yummy curry recipes to use the paneer in? There is an excellent (and more) videos on youtube making paneer cheese w/tips on flavoring, storing, etc. Can someone convert this to cups? Editor's Note: 250 ml is a little over a cup. 2 liters is approx. 8 3/4 cup (70 oz). Paneer (Indian Cheese) can be used in my dishes, braised spinach, peas and potatoes, braised potato, braised green beans, filling in samosas, salads, etc. When you adding them to curries dip them in flour, corn flour or grahm flour, not to get soggy. Crumble the Paneer when you adding them to salads and samosas. Doesn't need frying.